~Spring: Birds swimming in a sea of golden sun; small green leaves and warm earth giving way to new life. Alzheimer’s disease was important and I agree. So here we go: There is pretty strong evidence that regular exercise in people without dementia reduces (but does not eliminate) the risk of cognitive decline and dementia as we age. Several randomized clinical trials of regular exercise report a protective effect on cognitive function. When benefits from a particular behavior are reported, doctors tend to be more inclined to believe the result if they know of a biological mechanism that could explain it. 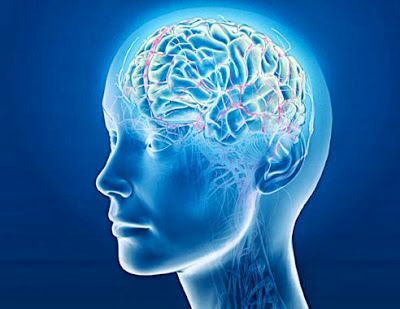 Brain imaging has found somewhat larger volumes of brain tissue, particularly in the parts of the brain essential to memory among people who exercise regularly. It may come as an unpleasant surprise, but we share a lot of genes with rodents. That’s why the results of experiments in rodents often prove to be true in humans. Rodents that exercise regularly, compared with those that don’t, have increased amounts of a brain molecule called brain-derived neurotrophic factor (BDNF) that builds new brain cells. Exercising rodents also are less likely to have brain deposits of a molecule called beta-amyloid, which is found in abundance in the brains of people with Alzheimer’s disease. Rodents that regularly exercise also solve mazes faster…..Regular exercise may or may not protect against dementia, but there are so many other health benefits from regular exercise that I don’t think it really matters. Now that it’s Spring, it’s time to take advantage of the bounty of fresh fruit and vegetables. They taste great and provide important nutritional benefits that you won’t find in a bottle. Here are five top picks that are available right now: Spinach, Asparagus, Sweet cherries, Strawberries, Sugar snap peas. FITNESS: Don’t forget to stretch. A good calf stretch is to lean against a wall with one foot bent close to the wall and the other out behind you. Lean toward the wall until you feel a stretch in the back leg. Hold for 60 seconds. Repeat on the other leg. BEAUTY: The Flaw fixer: Apply a soft green eyeliner, i.e.. Nars in Barrow Street, next hide the pigment with a dab of Stila Stay all Day Concealer. Now is the time to use the magic of a bronzer which makes your face glow! There are several goods ones but I love Beaute Metier. Those of us who have sun damaged skin on our hands, cover them with self tanning lotion, this really works as it makes the “freckles” disappear!! ! It is OK to say no.